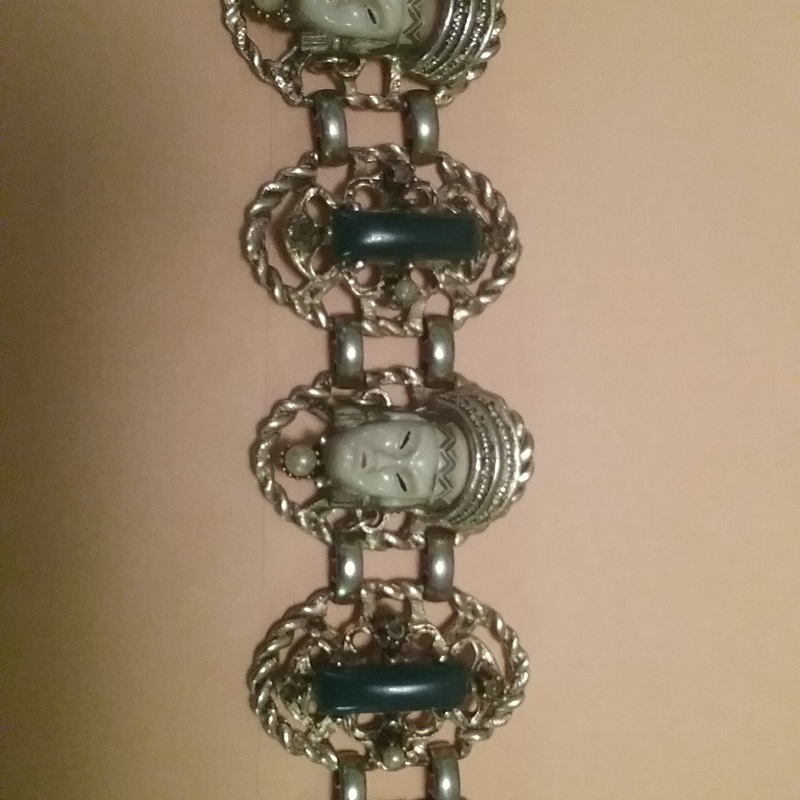 Old Chinese braclet, looks like brass or gold, Chinese faces Ivory, jade and pearls, filigree. Family heirloom, collectables, from travels. It is difficult to tell with the current photos, but to give you an accurate estimate we need to know the type of metal, its weight, the type of stones. Many thanks in advance.